The WebdynSun gateway is the solution for monitoring your photovoltaic systems. 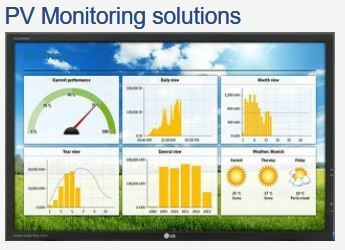 It monitors, collects and analyses the data from your photovoltaic plant remotely and in real time. The gateway combines all the indicators output from the inverters, electric meters and external sensors (sunshine, temperature and so on) in a single unit. It is designed for the preventive and curative remote maintenance of the plant and real-time monitoring of electrical power generation.